This project was to create a poster featuring our favorite typeface. I was caught up in a love affair with Paul Renner's Futura at the time and it's geometric nature, so I laid it in comparison with Le Corbusier's architecture. This poster was developed in Typography II, the problem was to create a tour poster for a band using only physically manipulated type and imagery, with no photography or drawing allowed. You can read more about the process and iterations in this excerpt from my process manual that shows how I developed the poster using paint splatters, hand-cut printed typography, and copier toner. GRIDS was an organization at California State University, Sacramento that was made up of students in the design program. I worked as president of the group my senior year to help revitalize the group which had been languishing. I developed the branding seen below, held meetings and elections, and developed relationships with ADAC and AIGA. 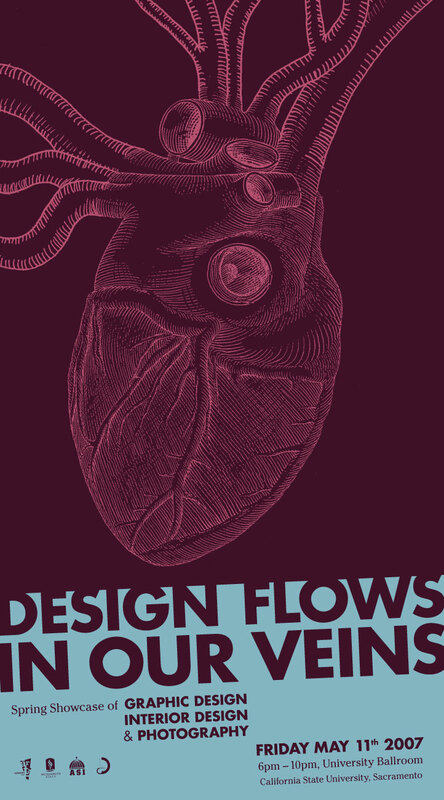 This project was to brand our annual design spring show with a poster, t-shirt, and postcards. This project was to create a design magazine made up of articles we wrote, laid-out, and photographed for. I wrote a piece on the influx of green nutritional branding in supermarket products. 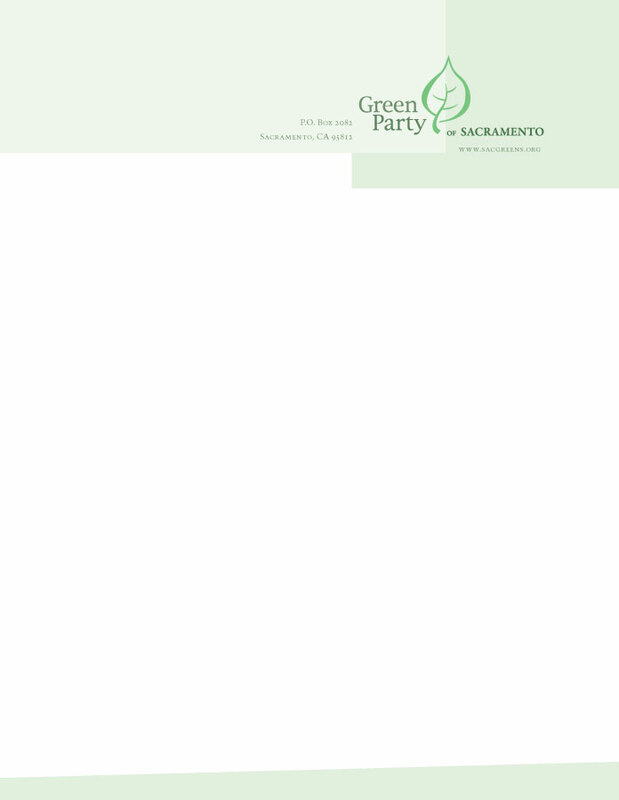 I designed this while I was volunteering for the Sacramento Green Party. The leaf branding was developed as a class project where we studied and analyzed the form of leaves. Although we had many corporate branding projects, I liked this one the best since it resulted in real world use.